← Books I read in 2009……. During my Christmas visit to my daughter, I got a little antsy not having a project to work on. I ask her for some yarn and needles, then downloaded a pattern from the internet. 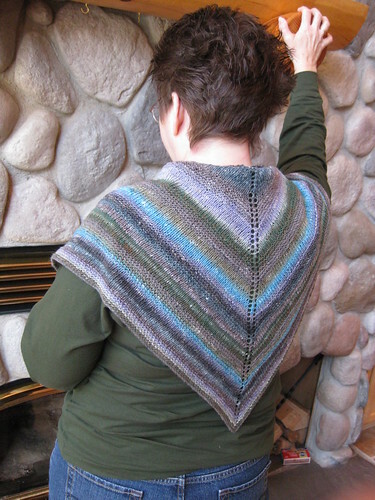 You can do a google search on “Simple Yet Effective Shawl” and download the pattern. I used Noro sock yarn, just one ball, the same amount of yarn as used in a pair of socks. I really like the result; it complements the color of many of my long-sleeved tee shirts and provides just the right amount of added warmth.